Teeth gaps normally happen and many people oftentimes ignore them - especially young children. While some people say that teeth gaps make them feel and look young, teeth gaps or Diastema can actually affect your overall dental health. The misalignment can cause severe issues with your gums and jaw bones as well. Here are some facts about the impact of teeth gaps on your overall dental health to give awareness and stop common misconceptions that come with it. This can happen when food particles get stuck in between the gaps. The food particles will then break down and will slowly form into calculus and plaque. As the plaque continues to build up in between teeth, this can cause your gums to become vulnerable to bacteria. It can cause periodontitis or gingivitis and may worsen in time if left unattended. People with larger teeth gaps may have higher chances of developing tooth decay. Larger teeth gaps have a higher tendency to accumulate more plaque. The accumulation of plaque will not only harm your teeth, but can also cause heart diseases that are associated with poor oral hygiene. Some people think that larger teeth gaps can help you maintain better oral hygiene. However, teeth gaps can cause severe issues and may lead to a myriad of oral problems if not treated. The teeth gaps can become a food trap, which then turns into plaque if not cleaned well. It can also be the reason for gum sensitivity due to constant brushing in between the gaps. Misalignment and jaw pain are oftentimes caused by teeth gaps. Misaligned bites allow teeth to shift out of place. People with misaligned bites or crooked bites can experience chronic pain between the ears, forehead, and jaw. 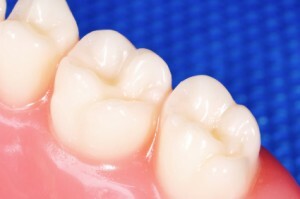 People suffering from misaligned bites can chip or wear off their teeth due to unequal force when they take a bite of hard food. It is very important that you have these gaps corrected to ensure that your teeth are not moving out of place. Chewing is another problem associated with teeth gaps. Large teeth gaps make it harder for you to chew food. The gums in between the gaps become sensitive when you continuously chew on a large chunk of food, making them susceptible to pain or infection. Aside from the gum sensitivity, you can also experience an upset stomach due to consuming large chunks of food, making it difficult for your stomach to digest. Another issue caused by teeth gaps is low self-esteem. People with teeth gaps often experience low self-esteem because they feel embarrassed to smile with their teeth gaps. Teeth gaps may seem a normal occurrence for kids and young adults. However, it can cause severe damage if not closed properly. In some cases, these teeth gaps can be temporary, but there are instances when they become permanent. Thus, seek medical advice and oral treatment as soon as possible before your case worsens. About The Author: Chloie Cartelli is a content writer for Orthofill whose expertise is focused on dental marketing. She graduated from the University of Connecticut and enjoys reading and writing that focuses on dental care.